MTK Global is proud to announce that 12 of its forthcoming fight nights will be screened live and exclusively on the world’s leading boxing channel BoxNation. The deal will kick off in style when MTK Global and BoxNation bring boxing to Glasgow’s iconic Emirates Arena for the first time in years with a bumper show on August 24. MTK Global CEO Sandra Vaughan said: “This is another huge milestone for us as a company. We’re all elated to be officially in partnership with a pillar of boxing such as Box Nation. “As a Scot myself, I’m particularly proud that the curtain-raiser is taking place in Glasgow. MTK Global is committed to making Scottish boxing great and wherever we put on shows, we aim to provide the best platforms to showcase our up and coming stars. MTK Global Professional Development Coordinator Jamie Conlan, who has played his part in some sensational action on BoxNation as a fighter over the last few years, is excited by the agreement. Conlan said: “Having fought on BoxNation several times myself, I know just what a great stage it is and for MTK Global to be operating on the leading 24-hour boxing channel is really special. “MTK Global is delighted this is happening. It’s a deal on which both parties have worked hard and been committed to completing for some time. It’s great to see it finalised. BoxNation Managing Director Jim McMunn added: “BoxNation are delighted to announce an exclusive 12 fight deal with MTK Global that will see a host of talented and emerging fighters showcased live on the channel. “MTK Global have shown great commitment to the sport, and in developing fighters, so we are thrilled with this link up which will see BoxNation continue to deliver the very best unrivalled boxing action for our subscribers. Over the past 12 months, the expansion of MTK Global and its ever-increasing roster of the hottest young boxing talent has seen BoxNation broadcast shows in Preston and Edinburgh to name but two. 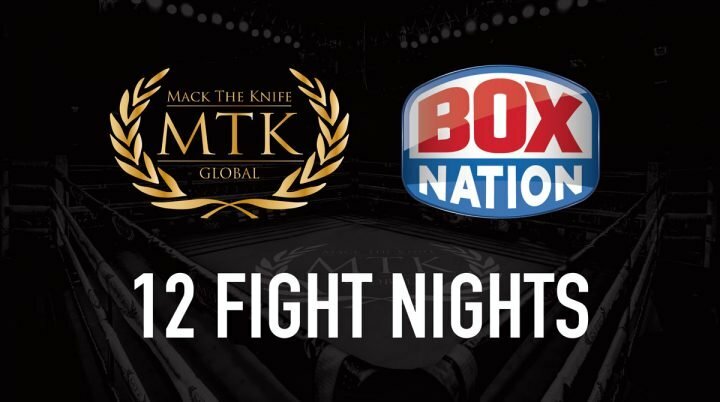 With the new agreement, TV’s only 24-hour boxing channel will show an average of one fight night per month as MTK Global and Box Nation raise the bar to bring true boxing fans the best action possible. « A message to Tyson Fury: What was that?